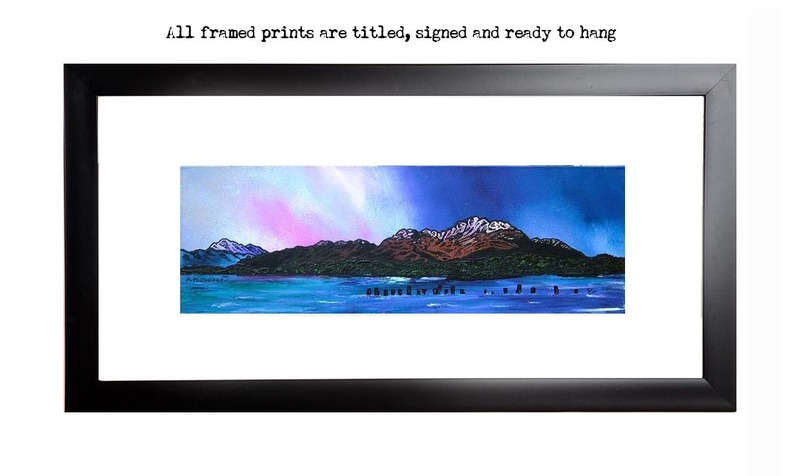 Painting & Prints - Ben Lomond Winter Sky, Loch Lomond, Scottish Highlands. Ben Lomond Winter Sky, Loch Lomond, Scottish Highlands. An original abstract, atmospheric landscape painting of Ben Lomond winter sky, Loch Lomond, Scottish Highlands. Contemporary Scottish fine art paintings and prints of Ben Lomond Winter Sky, Loch Lomond, Scottish Highlands by Scottish landscape painter Andy Peutherer.